Our Restaurant of the Month for June ’17 is Dunn’s Famous’ new location on Shefford Road, across the street from Klein Optical. 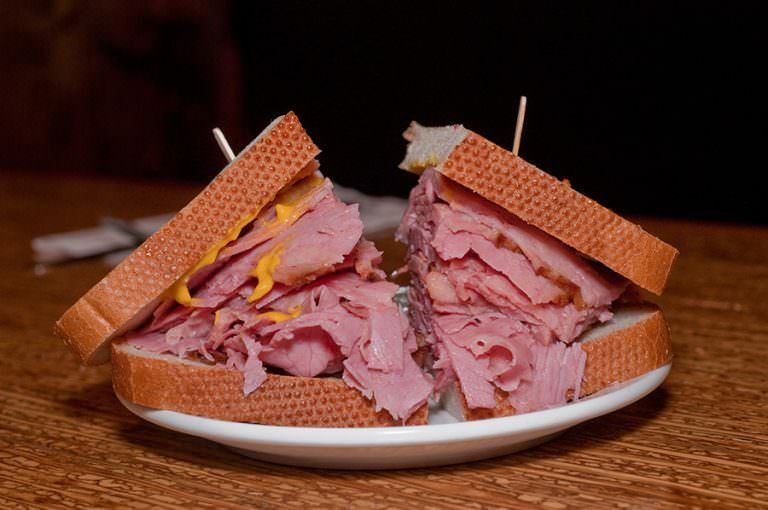 Founded by Myer Dunn in 1927, the restaurant’s signature Montreal-style smoked meat has spearheaded its success from Quebecois roots to Canadian household name status. 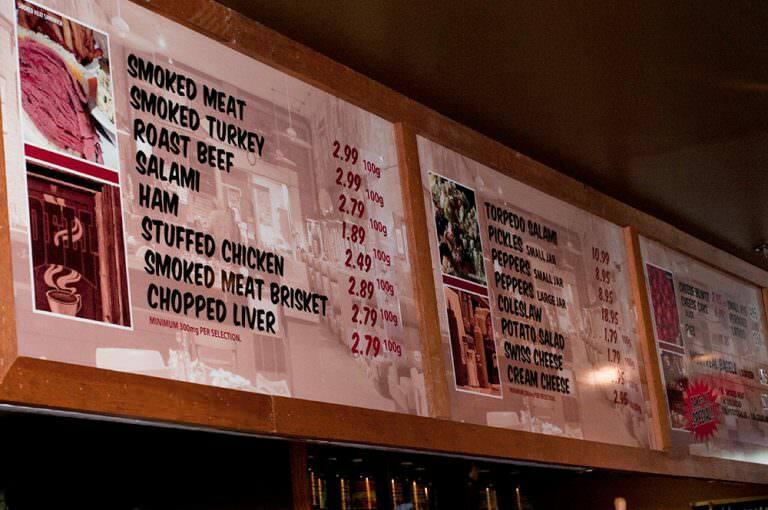 At the heart of Dunn’s menu and history is its smoked meat, an emblem of Montreal culture since the 19th century. Dunn’s continues their kosher-style deli tradition by salting and curing beef brisket with a secret, savoury spice blend including peppercorn, coriander, garlic, and mustard seeds. The brisket absorbs these spices for several days before being hot smoked, steamed, and hand-sliced to order. Platters are served authentically, meat stacked on light rye bread with yellow mustard alongside coleslaw and a dill pickle. 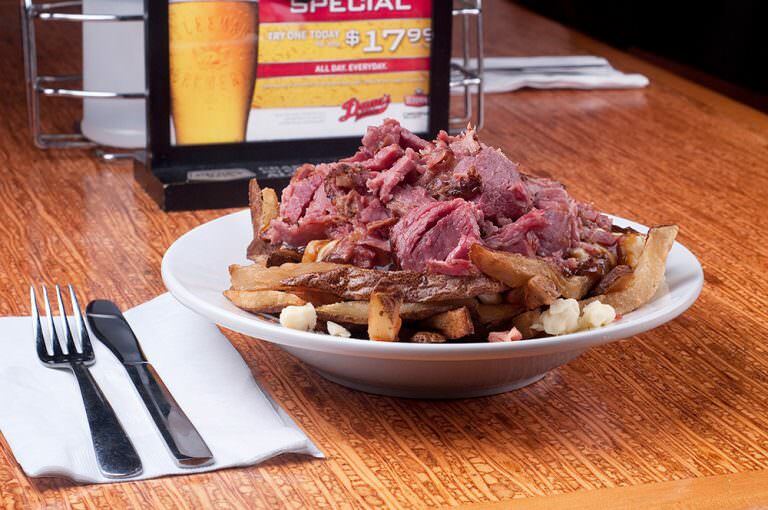 Also on offer are other Quebecois greasy spoon classics, including poutine—available original style or with bacon or smoked meat—and all-day breakfast options. With a warm, wood-accented decor, Dunn’s Famous’ welcoming environment and long opening hours make it a great place to grab a bite before work or watch the game with friends. Find contact information below to eat in or place an order for takeout. This month, Diane L. wins a $25 gift certificate to eat at Dunn’s Famous, Frank R. wins $50 towards their next eyewear purchase at Klein Optical, and Lise V. wins a pair of Klein mugs. Winners have been notified. To be entered in future giveaways, subscribe to our newsletter below.